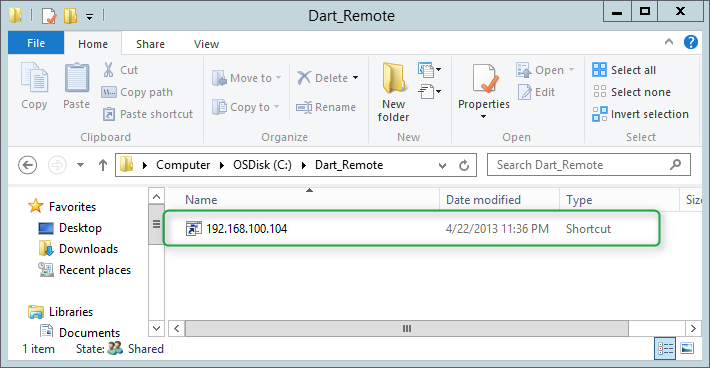 While preparing for an SCCM 2012 upgrade, I thought it might be a good idea to consider implementing some of the best practices that are around such as integrating the DaRT Remote Connection tool into the OSD deployment process. I’m sure it comes in handy when having to troubleshoot OSD related tings, as it allows us to access the client remotely without having to give lengthy instructions to an onsite engineer. 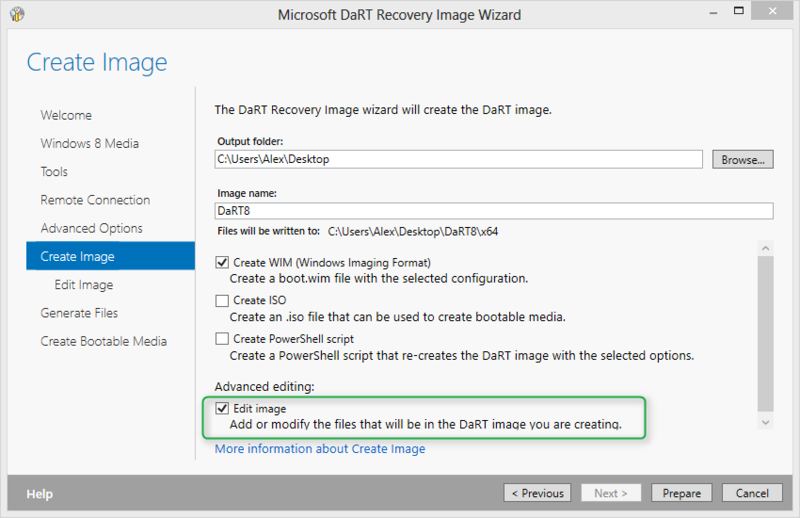 I know others have written about this before, but it appeared to me that most content relates to MDT or SCCM 2007, so I thought it’s worth writing down an update for those using the latest Dart 8.x version and SCCM 2012 SP1. Nevertheless the following blog posts served as great input for what is described below. 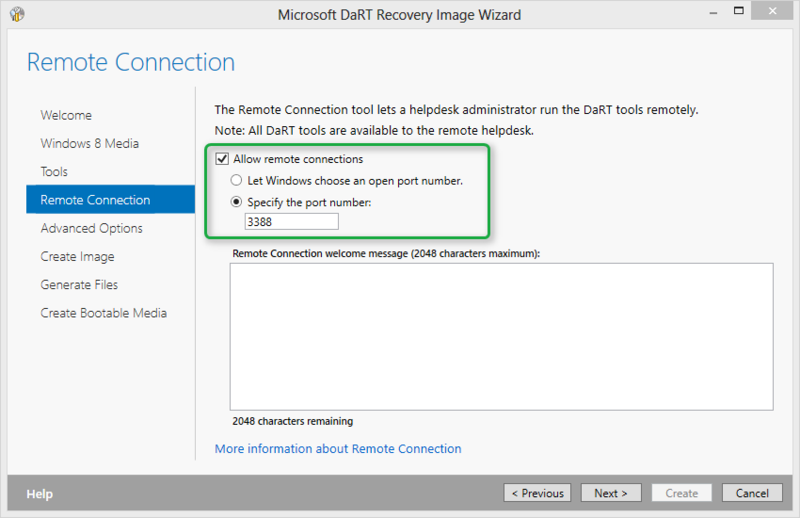 Note that the DaRT Remote Connection tool is part of the Microsoft Diagnostics and Recovery Toolset, a core component of the Microsoft Desktop Optimization Pack (MDOP) available for customers with Software Assurance. 2. When installed you will find a Toolsx86.cab and Toolsx64.cab file located in the "C:\Program Files\Microsoft DaRT 8\v8\” directory. 3. Create the following folder structure that you can access later when preparing the boot image in SCCM. The below screen shot shows the structure I have in my lab. and copy them all into the previously created .\PreStart_x64\CM12Dart\Windows\System32 folder. If you have no tools available to extract the files from the CAB file you can get them later in the process when we generate the DartConfig.dat file in step 7.
and copy them as well into the previously created System32 folder. Use the ZTIUtility.vbs provided. Replacing it with a newer one with cause the script to fail. 6. 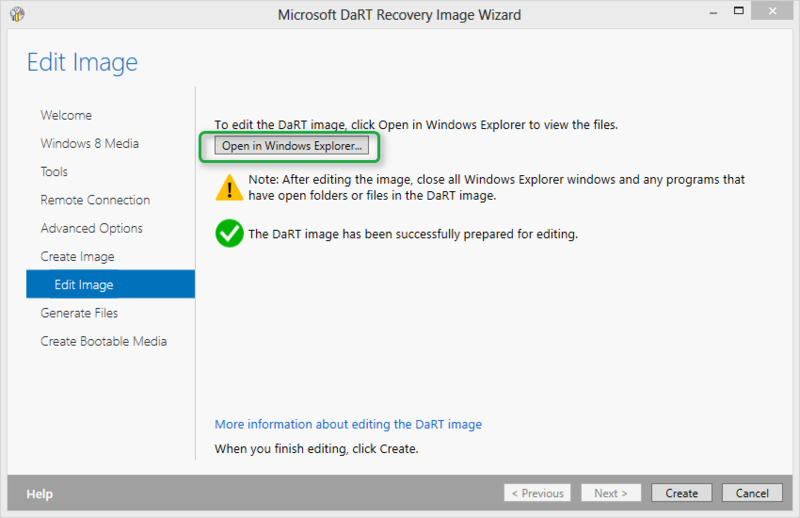 Since the script was originally written for DaRT 7, the line (124) containing the path to the DaRT Remote Viewer Tool must be updated.Replace the path with ""C:\Program Files\Microsoft DaRT 8\v8\DartRemoteViewer.exe" as shown below. oEnvironment.Item("DaRTShortCut") = oEnvironment.Item("ShortCutShare") & "\" & sShortcutName & ".lnk"
I haven’t had time for this yet, but the plan is to add a step to the Task Sequence to remove the link, so that our share doesn’t get filled with outdated connection links. I’ve therefore already created the variable. 7. Since on some networks not just all ports are open we are going to use a static port. e.g. 3388. 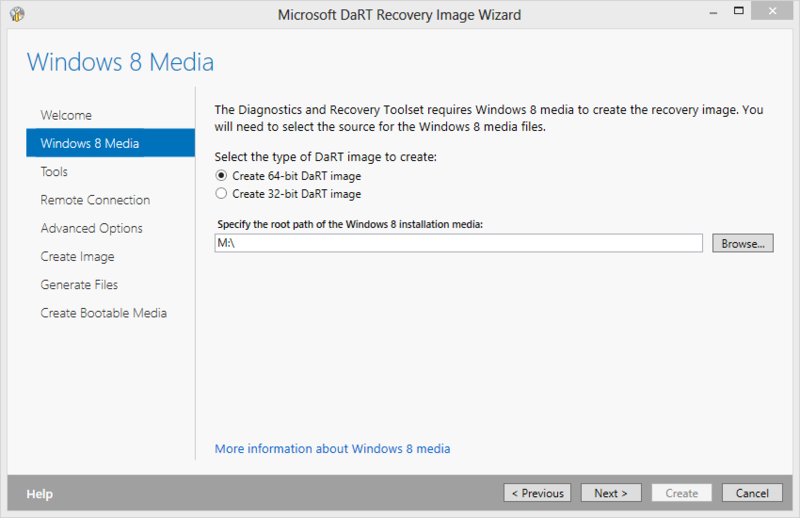 Unfortunately this information is stored in a file called DartConfig.dat that can only be generated using the DaRT Recovery Image wizard that we have installed in step 1. Skip through the following Wizard pages until you get here. Select “Edit Image”. From the System32 folder copy the DartConfig.DAT and copy it into the ..\PreStart_x64\CM12Dart\Windows\System32 folder. If you did not extract the files from the CAB file in Step 4, you find them here as well. When done close the Explorer. Going back to the wizard you can either select Cancel or Create. 9. 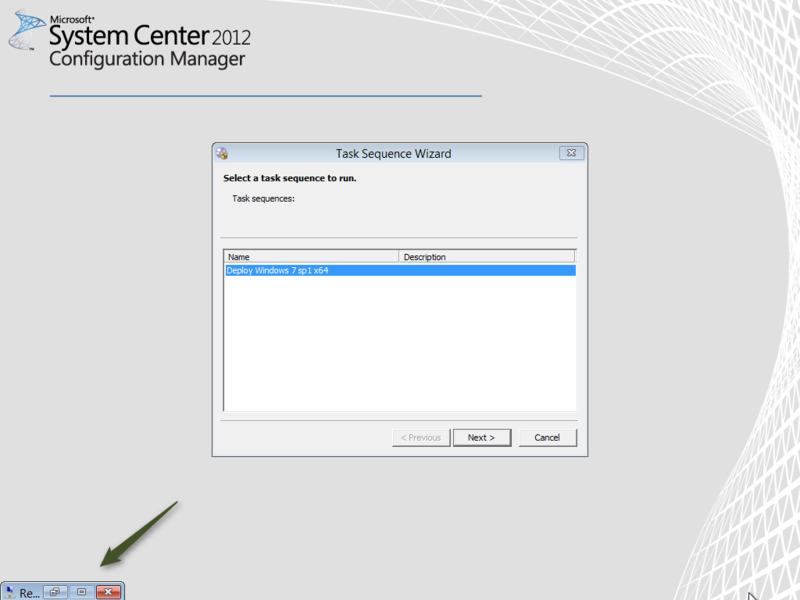 Open the configuration manager console and open the Software Library Node. To not make this blog post too lengthy I am just going to assume that you’re familiar with creating a new or updating an existing boot image. Otherwise follow the steps described here. Then Click “Apply” to save the changes. 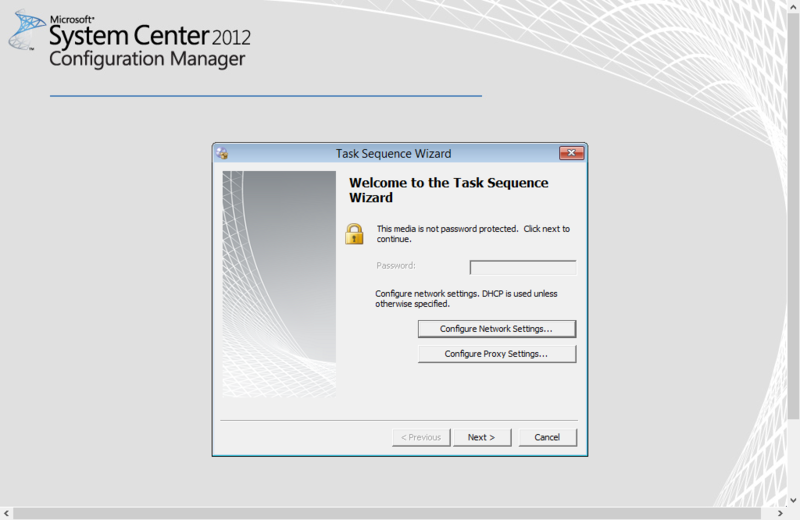 Now that we have put everything in place, let’s start the OS Deployment Task Sequence. I am using SCCM boot media here, so I have booted my VM with SCCM Boot media that I have previously created. As soon as we hit “Next” the prestart command kicks in and launches the DaRT Remote Connection tool, that sits minimized in the corner of the screen. Now heading over to the Server where I have installed the DaRT Remote Viewer Tool and open the Share where the shortcut link is automatically created by the StartRemoteRecovery.wsf script. and there you go, we now have a remote connection into our OS Deployment session. Very good article, but I can’t get this to work. I exactly did what you specify. But upon entering password for Task Sequence, it’s not showing Remote Connection (I know it will show as minimized) at all. Boot image is working with or without PreStart files. CSCRIPT X:\Windows\System32\StartRemoteRecovery.wsf /ShortCutShare:\\SCCM-LAB\DART_Remote /UserID:SCCMAdmin /UserDomain:CONTOSO.LOCAL /UserPassword:P@ssw0rd! 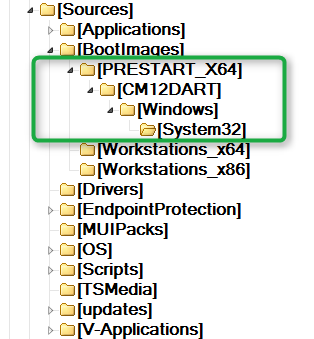 Also do I need to select PreStart_x64 folder or CM12DART folder in Source Directory selection? Any further help would be greatly appreciated. Thank you! Never mind. After providing FQDN and changing the path in Source Directory field, it’s working! Thanks!! 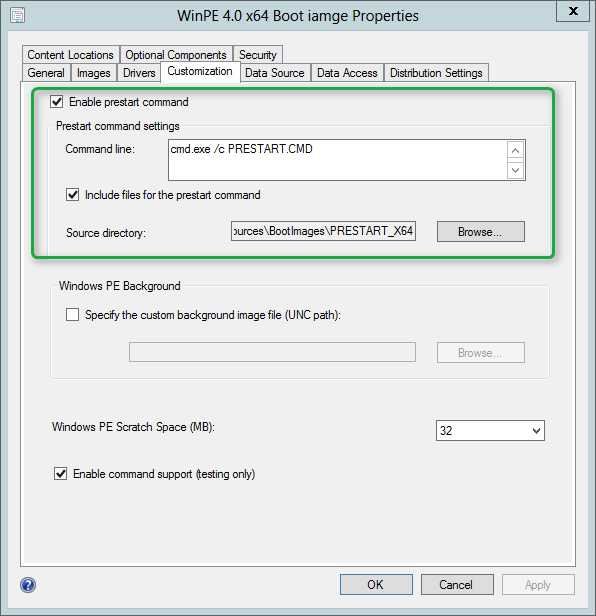 My boot image is not able to trigger the command prestart.cmd automatically. If i got to my client machine and map the drive and run the command manually everything works fine. This works perfectly for me if I use the F12 PXE boot method….is there a way of making this work if I deploy an “online” OSD from the Software Center? I’ve tried it from there and the DaRT part then doesnt work (no prestart to load it..). I’m trying to make the name of the file be the Dell Service Tag instead of the IP address.. However, I’m just getting blank names for the shortcut. Any ideas how to modify the script to use Serial Number instead of IP Address? Hey, Thanks… I got it all working, and was able to edit it to use the Computer’s Serial Number instead of the IP Address when it creates the shortcut. This is very helpful. we have the problem that RemoteRecovery doesn’t create the inv32.xml file. The script doesn’t find the file every time. However, Remote Recovery is running and we are able to start Remote Control. Do you have any suggestions? Out of interest, where did you put the code to grab the serial number? I’m trying to do the same and I keep getting nothing returned. However if I run the code on it’s own it works fine. Did you ever get around to writing the script to delete the shortcuts? Is there a way we can change the shortcut name from IP to OSDComputerName? If so were do I change that in the script? When I trty to create the media it always says that the DISM needs to be in current version, but it is. Any ideas?